So you launched a small business: a catering company, a design firm, a tax-preparation agency. You have a computer and an internet connection. You’re set, right (at least when it comes to your start-up’s IT needs)? Not so much. (Come on, now — what about a social media presence? Help-desk support? Cloud services? VOIP?) To give your new businesses a boost, we here at Frontier IT in Colorado Springs review the top five technology needs of start-ups — essentials you might be unaware of. Help-desk support. Whether you’ve been in the business of small business one day or for longer than you can remember, you’re already used to wearing multiple hats. But you just can’t be all things to all people. Properly functioning tech is essential for your staff to innovate, collaborate, get stuff done and make customers happy. But hiring one IT guru may not be in your budget, no less an entire staff. What’s an entrepreneur to do? Outsource help desk support to a managed service provider (MSP), leaving you to focus on the things you do best. Cloud services. If the term cloud still has you thinking of those puffy white collections of water particles suspended in the sky, you have some serious tech-industry reading to catch up on. For most, saving documents to a hard drive is no longer practical. What if you’re out and about and need to edit your company’s budget spreadsheet, but don’t have your laptop with you? What if you need to make a crucial last-minute fix to the proposal your colleague wrote, but that proposal is on his laptop — and he’s backpacking in Europe? Cloud services like Microsoft Office 365 and Autotask Workplace can ensure that you have access to all of your business’ documents from any device with an internet connection. They can also protect your files from outside threats like malware and insider threats like troublesome employees. And there’s more. Cloud services can ensure that you — not your employees — retain ownership and control of files when they leave employment. VOIP. If you’re familiar with voice-over IP, you may think of it simply as a cheaper alternative to landline phone service. And that it is. (Hey, we small biz owners love cost savings — who doesn’t?) But it’s so much more. Many VOIP companies offer some insanely handy perks, like having your voicemails emailed to you and being able to conduct virtual meetings via video conferencing. Perhaps even handier, VOIP allows users to route their office phone to their cell phone, and to call someone back from their cell phone via their office number. (No more giving away your personal cell number when you’d rather not!) In short: Small- and mid-sized business owners can’t afford not to have VOIP. A social media presence. Not everyone is on social media, right? There are always the holdouts, and chances are you know a few — like Grandma Erma, who swears she’ll never touch a computer, and Uncle Ed, who prefers desktop solitaire over exploring the internet. Truth is, though, that a whopping 78% of Americans use social media, and there are an estimated 1.96 billion social media users worldwide, according to Statista.com. 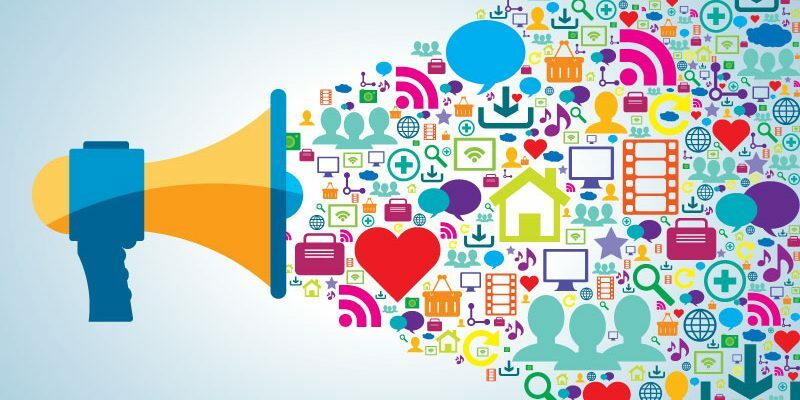 Launching a social media presence for your small business can boost sales, generate brand recognition, grow website traffic, improve your ranking on search engines like Google and Bing, develop your customer base, increase loyalty, and so much more. Research what social media sites your business’ core customers frequent — Facebook, LinkedIn, Pinterest, Twitter, Google+, YouTube — and create profiles for your small business. You’ll thank yourself later. An MSP as a partner. If you haven’t already guessed, a managed service provider (MSP) can be your small business’ new BFF (that’s best friend forever … or something like that). MSPs like Frontier IT offer IT consulting services, disaster recovery planning (a must for businesses of all sizes), help-desk support, server and network monitoring, and so much more. Is your business too small to have its own IT department, or is its IT department anemic? Would you love to have your own chief information officer but can’t foot the annual six-digit bill that comes with an executive-level full-time employee? This is where an MSP’s expert consulting services come in handy. (FYI: Services can be tailored to any business size and budget.) What’s more, many of Frontier IT’s employees are former small business owners. We “get” small businesses and love partnering with them. If you’re interested in talking to an expert about the immense value an MSP can bring to your business, drop us a line — we can’t wait to “talk shop” with you. And oh, by the way — good luck with your startup. You can do this. We’re rooting for you!